Born in Wolverhampton on September 24th, 1941, Alan was a pupil at Tredegar Grammar School from 1953 to 1960. He graduated from University College of Swansea (now Swansea University) 1963 (Classics), The Queen's College Oxford 1965 (Ancient Egyptian and Coptic). Laycock Student of Eqyptology Worcester College Oxford 1965-8. MA and DPhil (Herodotus on Egypt) 1972. Alan became Assistant Lecturer in Ancient History at the University College of Swansea in 1967; he was appointed Senior Lecturer in 1977, Reader in 1983, and awarded a Personal Chair in 1988. 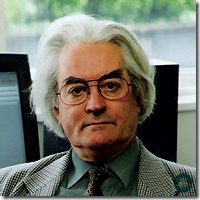 He was Dean of the Faculty of Arts from 1991 to 1993. He was also Head of Department from 1992 to 2004. He became Pro-Vice-Chancellor (Academic) in 1993, holding office until 1997. Currently he is Professor Emeritus in the Department of Ancient History and Classics at Swansea University. Alan is currently a Fellow and Council Member of the Society of Antiquities of London and President of the Egypt Exploration Society. He is a world-authority on the Ancient Greek historian Herodotus and has wide interests covering the whole range of the Ancient World including military and naval history, the rise, evolution, and organisation of ancient empires, ancient religions, ancient languages, and ancient material culture, and has written and lectured widely on these topics in the UK, abroad, and on many cruise ships. He is also the author and editor of many publications (books, chapters, and articles) on Classical and Egyptological subjects.